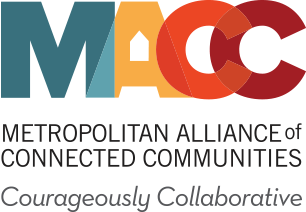 At MACC we're building the connections, collective expertise, and collaborative solutions that help our member organizations and communities thrive. We understand nonprofits because we are a nonprofit. We are a nonprofit designed for, and built buy, nonprofits. As a network we operate under a set of shared, core values. Our values define who we are as a network and an organization. The expertise our team of professionals brings to the table allows our members to focus their time and energy on what matters most - their mission. Are you looking for a position with a nonprofit working in the social services sector in the Twin Cities? MACC members are nonprofits committed to advocating for, connecting, and strengthening both individuals and families in their communities. Didn't find a good fit with us? Our members are also looking for talented passionate people to join their teams! See our full member listing to learn who our members are and how they work with us.